101 in 1001:: Where my tweep’s at? Last weekend I was able to meet up with a fellow AXO twitter user for lunch. I am a huge fan of Amy, as she is a fellow sister, blogger, rock star mother, and all around inspiring woman. She is passionate about life, her family, Alpha Chi, and philanthropy. Since we have been following each other over the last few months, she has been a real encouragement to me. Back in January when I first posted my 101 in 1001 list, Amy tweeted at me saying she would help me with my #93. Amy was in town for the Southeastern Panhellenic Association Conference and we decided it would be the perfect time for lunch! 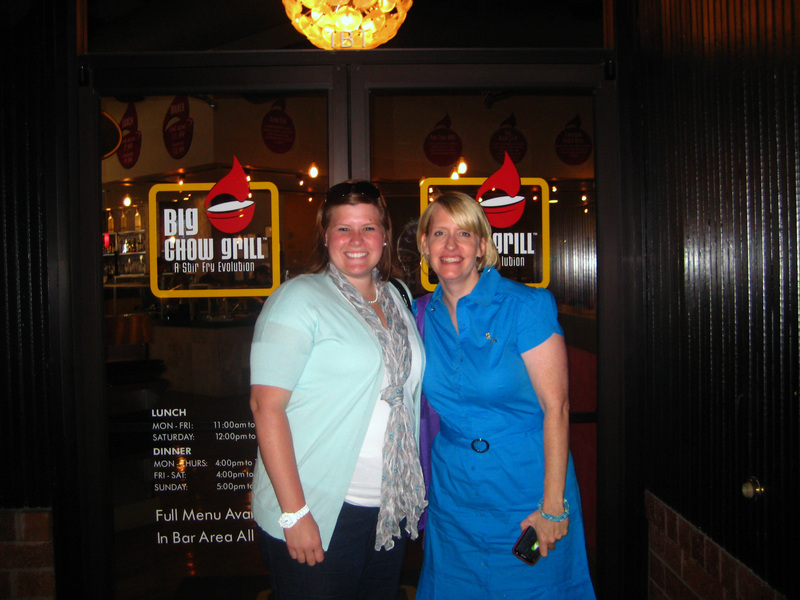 We had a wonderful time at the Big Chow Grill. It is always fun when you get to see the people in person that you connect with online. We both laughed because despite never having met each other, we both felt like we had known each other for ages. Love that!